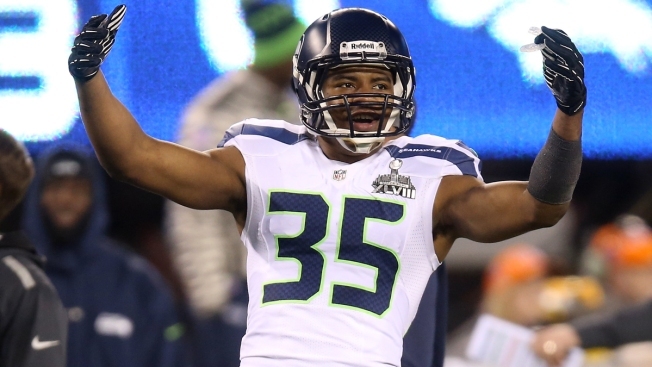 NFL player, DeShawn Shead, walked off the CenturyLink Field with two victories Sunday night. Seattle Seahawks defensive back DeShawn Shead walked off the field with not one, but two wins Sunday night when he proposed to his girlfriend following an overtime victory against the Denver Broncos. About 30 minutes after the winning game 26-20, Shead changed into a dress shirt and slacks, and asked his girlfriend, Jessica Martinez, and some family members to join him on the CenturyLink field, ESPN reported. Shead then popped the question on the 50-yard line, with Bruno Mars’ “Marry Me” playing on the stadium’s speakers. When Martinez said yes, a dozen of Shead’s teammates, including cornerback Richard Sherman and linebacker Mike Morgan, ran out on the field to congratulate the couple. Both Shead and Martinez took to social media to spread news of the engagement. "She said yes!" Shead tweeted along with a link to a picture of the couple. "Best day of my life," Martinez added on her own Instagram account.